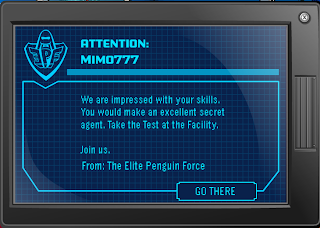 Club Penguin Cheats by Mimo777 Club Penguin Cheats by Mimo777: Club Penguin Yearbook EPF Recruitment! As you know the Anniversary Party has brought us a New Yearbook. This Yearbook has lots of hidden pins in it. Unfortunately, you cannot get these pins, they are just a cool reminder of some of the pins you could have earned in the past year. I didnt know that! Thanks Mimo for posting about it. I noticed this cheat too. Also, if you click on Rookies face on the April, it will keep changing to a pumpkin and other things. There probally are alot more. I'll try to find them and tell you. I only found out that the phone could be turned on. Then today I read the title of this post and tried to find out myself and then I got it! 2. The penguin art is a permanent thing now. cool huh? Oh that is so cool! wow! i never noticed that! awsome i knew that b4 you! hey mimo! i found a glitch! if you log on, look in the top left of the screen (next to the newspaper) and you'll see random names. Wow! It did? Yeah, that's what happened to me when I logged on to Club Penguin around 4pm. So I guess it was a 2 and a half day party. Ouch! What happened to you? You have the right to be upset about that. Guess you'll have to wait until next year! Thanks for telling us about rookies face! I didn't know you could do that! Also thanks for letting Mimo know! Hey! It doesn't have to be in order! Try it! You know, here in the uk, sky family movies is sponsered by club penguin game day on wii!! Cool huh!! We'll find out soon probably. Yeah! I was confused about that aswell but then I was on you tube one day and found this guide about how to get a perfect score. Good spotting! Thanks for letting Mimo know! Cool! I never knew that! Awesome! Hey dude you're the best and right now I can't believe I'm doing my own blog. Thanks for bein' my inspiration. Oh yeah, I wish you could see my blog, but i can't put URLs so Cya! It's so annoying that it's not even hard to do anything on club penguin anymore!!!!!!! I really like this cheats . I always go to this one . 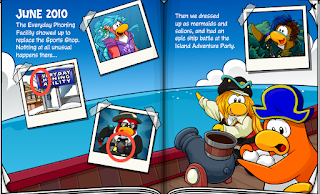 I really LOVE club penguin. 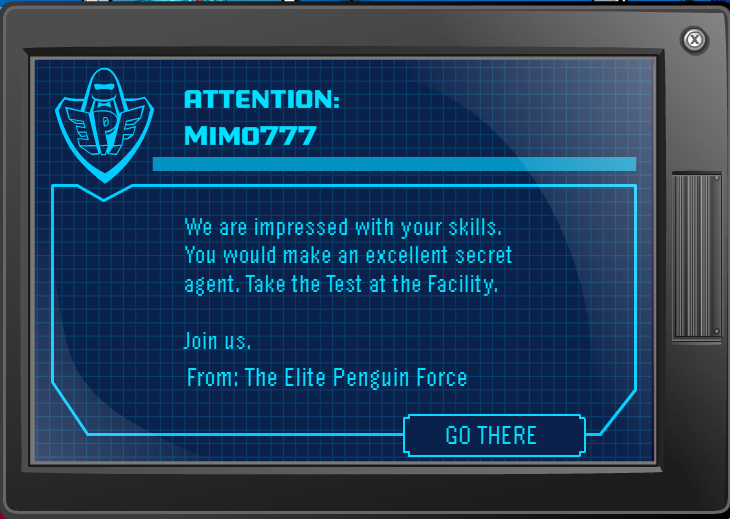 it is already gone if you are an epf agent. cool i found it! are there any more?